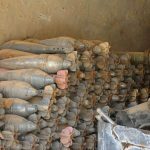 Damascus Countryside, SANA- Units of Syrian Arab Army discovered large amounts of weapons and ammunitions left behind by “Jaish al-Isalm” terrorists in al-Dmair area. 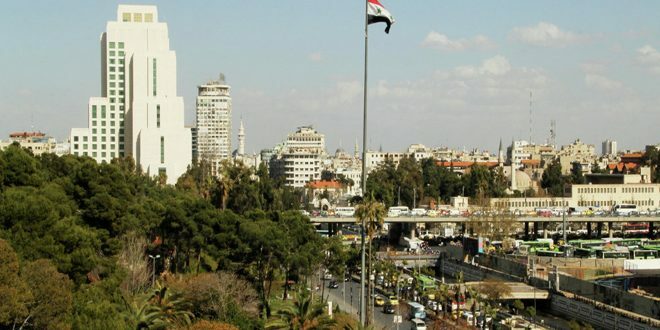 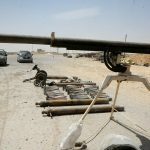 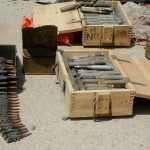 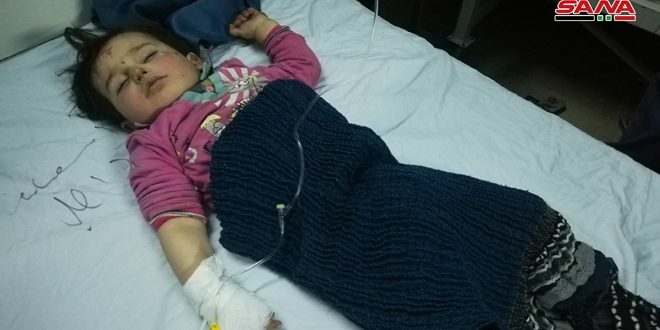 SANA’s correspondent in Damascus Countryside said that during the sweeping operations in al-Dmair area after the exit of “Jaish al-Islam” terrorists to Jarablos, the army units seized amounts of ammunitions and weapons in al-Mahata area in the southern part of al-Dmair. 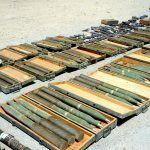 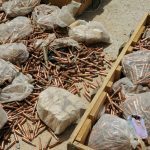 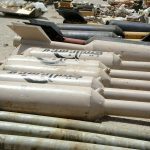 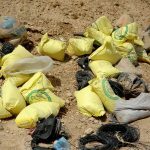 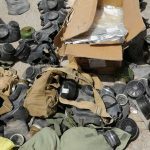 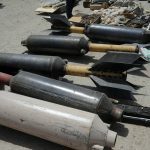 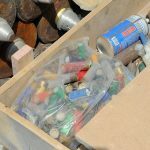 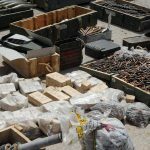 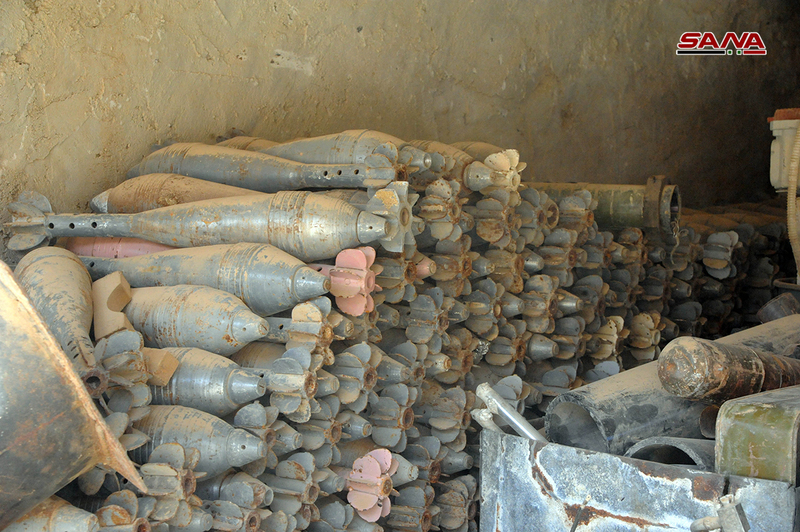 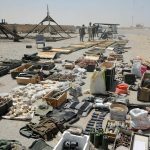 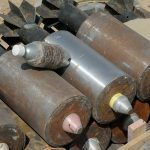 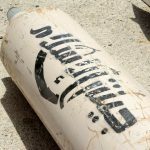 The seized amounts included: Grad rockets, large numbers of rocket shells and mortar rounds, tens of IEDs, RPG rounds, a number of TOW missiles, mines, remote detonators and local-made rocket launchers. 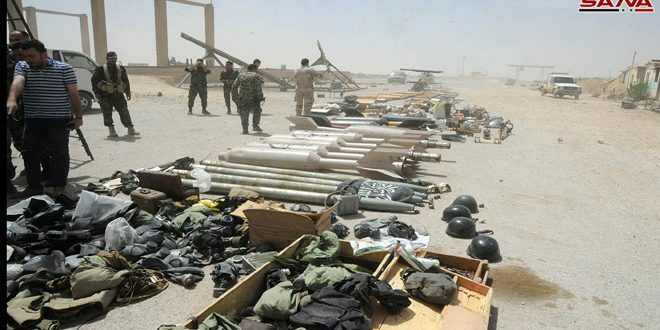 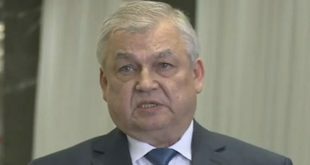 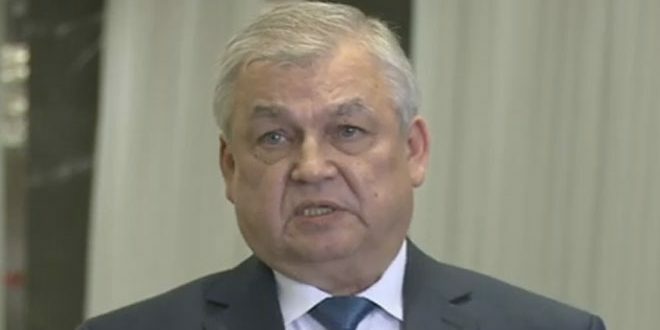 The correspondent added that the army also found sites for “Jaish al-Islam“leaders in al-Mahata area. 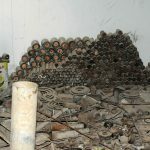 The ground floor includes workshops to manufacture improvised explosive devices and some rocket shells, while the basement contains a prison consisting of several rooms, in addition to solitary confinement cells.